Vinyl and linoleum floorings are very popular nowadays, as they show great resistance to water and thus, you can mop with plenty of warm soapy water. Just make sure that you mop or remove any excess water from the floor. All floorings need to be cleaned and maintained to deliver a classy look. 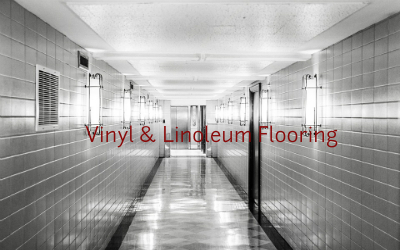 When it comes to vinyl and linoleum flooring, all you need to do is periodical mopping and brushing. This is because the materials are abrasive, and repeated cleaning can degrade the floor's finish. The glossy finish will slowly move away, and scratches with dull surface will start to appear. Therefore, you need to maintain these materials through expert care by hiring professional carpet cleaners in Brookvale. These experts would clean vinyl flooring with efficient and safe floor cleaners. The cleaner would not affect the protective lamination and help to retain the actual look of the flooring. If your floor receives a moderate level of traffic, consider cleaning it twice a week. Use a vacuum cleaner that is made to clean hard flooring. Because, it would not have a beater bar or bristled rotating bar that can mar the flooring lamination. Once the dust is brushed away, use a soft floor cleaner and mix it with warm water. Make sure that the floors are rinsed properly as soap residue can dull the shiny effect. Vinyl flooring does not require waxing, but on the contrary, linoleum should be waxed. Ask the professional carpet cleaners for a better waxing option that is formulated for linoleum. In most of the cases, liquid acrylic floor polishing is applied. The coating should always be applied in every 2 to 6 months depending on the traffic the linoleum handles. Never apply wax paste on the linoleum. It may not cause any harm, but it will also not add a shine to the flooring. Using a lightweight buffer with a pad mad can be great for achieving maximum shine. Vinyl flooring generally lasts for a minimum of 5 to a maximum of 15 years. It actually depends on the quality of the flooring and the amount of traffic it is receiving. The care and handling make a great difference too. This is why, it is suggested to hire professional cleaners who are the ultimate carer of vinyl and linoleum flooring. Therefore, do not worry if you see stains or dullness on vinyl and linoleum flooring. Just make a call to the professional carpet cleaners and enjoy the top services with super cleaned floors. If this post was useful to you, then stay connected to our blog page for more updates.